There are several passages in the Old Testament where Israel is presented as the vineyard of the Lord. In Isaiah XXVII, for instance, we read: Sing of the delightful vineyard! I the Lord am its keeper; every moment I water it for fear its leaves should fall; night and day I watch over it. It is another way of saying how dear his Chosen People are to the Lord. And none can be dearer to the Lord than his only begotten Son who became a Jewish man known as Jesus the Christ. In today’s gospel Jesus takes up the same viticultural imagery to describe the relationship between himself and his followers. If they are truly to be his followers, they must remain closely united to him. His Father continues to watch over and take care of the true vine. He declares that: Every branch in me that bears no fruit he cuts away, and every branch that does bear fruit he prunes to make it bear even more. 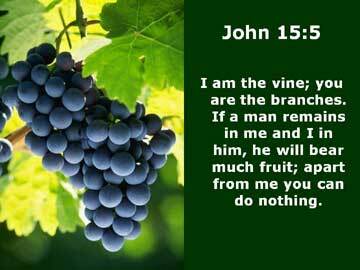 He adds: As a branch cannot bear fruit all by itself, but must remain part of the vine, neither can you unless you remain in me. What are we to understand by remaining in Jesus? First of all, let me remind you that we all have free will. We are not automata. Look at the heavenly bodies, the millions of stars and planets and comets: they are wonderful to behold. All obey the astrophysical laws. At any moment God knows exactly where they are and precisely when they will disappear. By contrast, we are capable of doing the unexpected; we are much more entertaining. Not all our choices are between good and evil; many of them are morally neutral – what breakfast cereal to eat, whether to take tea or coffee. But we can make morally wrong choices, which amount to turning away from God. If we persist in that behaviour, we are indeed severing our links to God. So the question becomes: by what exercise of free will can we remain united to Jesus? During my years in Rome I found that Australians and New Zealanders got together regularly; the Congolese got together regularly; the Zambians, the Ghanaians and the Tanzanians got together. Similarly, in practically every city of the world you will find Filipinos meeting regularly. This suggests that if we are to remain united to Jesus, we should get in touch with him regularly … through prayer for instance! That commandment which orders us to “keep holy the Sabbath day” has never been revoked. One of the best ways of sanctifying the Sabbath is to join the community in worship – not, you notice, in shopping. Even if that were not possible, we can raise our hearts and minds to God any time, anywhere. Given that God is looking after us 24/7 it is not unreasonable for us to take time to talk to God at least once a day. Now while it is good to say some prayers, like the Our Father, the Hail Mary, the Glory be, God is going to find us rather boring conversationalists if that is all we ever say. Just as parents like their children to tell them about their day, so God welcomes us to talk to him about all the things that concern us. 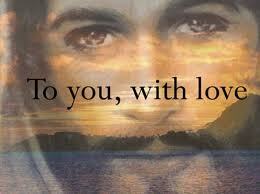 After all, God is our loving Father. Let our prayer be more than a series of petitions. God knows what we want even before we ask for it. But God might be interested in our opinion about certain matters, and will surely appreciate gratitude for favours received. You know, there is both an individual and a collective dimension to the divine plan. God thinks big. He made an alliance with the whole Jewish people, not just with Moses and his family. The Christian Church has developed a theology of the Mystical Body of Christ – that is to say that all believers are united by the presence in each one of them of a spark of the divine life. Jesus died for all of us, not just some of us, but we can – by committing grave sin – separate ourselves from the community of believers. Jesus told his disciples that his Father prunes those branches which bear fruit – i.e. ourselves – so that they will bear still more. At a certain point in our lives we come to realise that our powers are diminishing. We can’t play sport the way we used to, we can’t walk or run or swim as far or as fast as we used to. What’s more, everybody seems to speak more softly these days. These reductions in our physical powers are signs of our being pruned. Little by little we will experience other losses – through the death of a wife or a husband, or even of a child; we may have to give up driving; we grow more forgetful. In our second childhood, gradually we become almost as dependent as we were in our first, but with the painful memory that there was a time when we were autonomous and free. I guess we all saw pictures of Pope John Paul II in his last years when he was stooped and sick. His was a very public decline towards death. It is said that he did consider resigning the papacy. Presumably he prayed for guidance. It is hard to see how it could be best for an organization as vast and complex as the Church to be led by a man in his dotage. Those of us who have views on this matter should make arrangements now for the time when we are old and frail. Ideally, I think, our last years should be a time of preparation for our meeting with God when we move on to the next stage of our existence. That means accepting the diminution of our own powers, willingly letting go of the attachments which mattered so much to us earlier in our lives, in all simplicity allowing God’s will to be done. Where the dead teams were used to pass. And hold it with your rooted hand.